Hi, I’m Donna Reish, life-long dieter, homeschooler of thirty-two years (finishing June 2016! ), blogger, parenting seminar writer (Raising Kids With Character), curriculum author of over fifty curriculum books in language arts and writing (Character Ink Press), fifty-something year old mom of seven, Christ-follower, ballroom dancer, happy wife, and newly-turned Plexus Ambassador (which will be ending my aforementioned role as life-long dieter as I lose my last thirty pounds in 2016….Plexus takes away carb cravings and reduces appetite, so you never feel like you are dieting!). I would love to help you with your health goals to lose weight, have more energy, balance blood sugars, gain motivation, reduce inches and fat, gain motivation, improve gut health, and more. 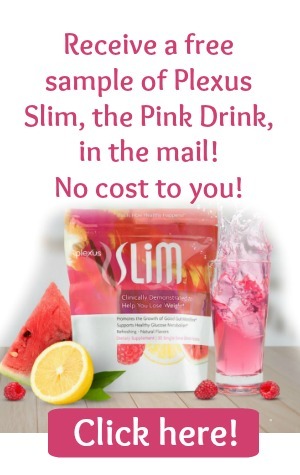 Plexus does it all! Sit down and join me as I teach my readers about Plexus products and low carb cooking (through fast mixes!). 5) Inspiring blog posts about health, wellness, and Plexus! Hi, I’m Donna Reish, life-long dieter, homeschooler of thirty-two years (finishing June 2016! ), blogger, parenting seminar writer (Raising Kids With Character), curriculum author of over fifty curriculum books in language arts and writing (Character Ink Press), fifty-something year old mom of seven, Christ-follower, ballroom dancer, happy wife, and newly-turned Plexus Ambassador (which will be ending my aforementioned role as life-long dieter as I lose my last thirty pounds in 2016....Plexus takes away carb cravings and reduces appetite, so you never feel like you are dieting!). Protected: Healthy Mama of Eleven Kids! Protected: Stay Healthy and Fit this Fall/Winter and Enjoy Free Shipping! Protected: Video: Working Plexus 20-30 Minutes a Day!